The most awaited event for the states of Baltic basin is September Baltic Ports Conference in Helsinki. This year on September 8-9th members of Baltic Ports Organization and their guests will celebrate 25th anniversary of BPO as well as traditionally discuss the matters of shipping industry in Baltics. The celebration of the anniversary is planned in the fortress of Suomenlinna on the Kustaanmiekka isle. The Baltic Ports Organization, established in 1991 in Copenhagen, priority is to facilitate mutually profitable cooperation in the Baltic Sea basin. BPO works to improve competitiveness of maritime transport in the region by constant improvement in infrastructure, modernization of port facilities and logistics networking. Moreover, BPO aims to raise demands for sustainable environmental behavior, ethical business means and free information exchange between interest groups. “Green” outlook is not only a strategy for rising competitiveness and building up image, but more of a business operation philosophy and value creation for shareholders. Annually BPO calls for organization members to meet and discuss future outlook and areas of possible cooperation. The conference is a major event for investors and business owners to come together and discuss the key urgent issues related to the member ports. Each year conference takes different focus that is the most relevant to the Baltic Sea region. It is argued to be the best platform for communication and multidisciplinary assessment of an issue. Speakers are carefully chosen to deliver the most relevant expert insight on topic in order to give the food for thought to numerous representatives of EU Commission, NGO’s, private companies and BPO members on the first place. This year conference will focus on a topic “Baltic Sea as a model region for clean ports and maritime transport” (BPC Agenda, 2016) Honorable delegation will discuss the concern with sustainable solutions and prospects of pursuing zero emissions goal as well as environmental regulations for operations in Baltic region. 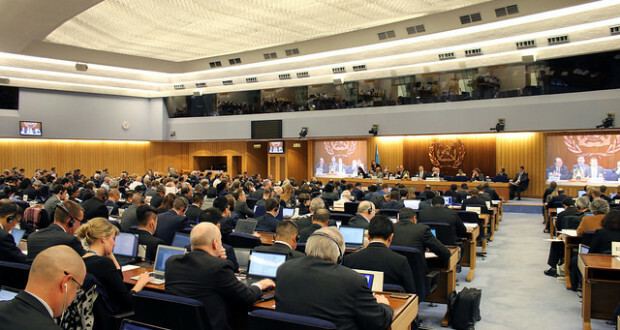 Particular emphasis is given to the topics of port regulations and innovation in facilities. Conference as well covers strengthening regional cooperation in the region along with detailed examination of economy and trade in the Baltic Sea area. The 25th anniversary of BPO embraces readiness to face challenges of the industry in unity of Baltic actors.